Kala Gallery is looking forward to the opening of Voices on October 22, 2015. Voices presents work by artists who explore the idea and action of making sounds. The voice consists of sounds and non-sounds including talking, singing, laughing, crying, screaming, etc. It is an act of self-expression, communication and story telling, and a part of our cultural identity. The exhibition Voices examines the human body as a memory chamber and musical instrument; voice as expression of political conflicts and rhythm of nature; immersion in sonic landscape; and more. With roots in psychoanalytical thinking, Damir Avdagic’s interests lie in trans generational transmission of traumas, desires and ideologies through speech and body language. Avdagic’s work reflects on the civil war in Bosnia from which his family fled in 1993. Prevodenje (Translation) is a narrative told by Avdargic’s father translated from Bosnian to English. The narrative touches on his father’s memories of the civil war, and the circumstances surrounding the name of his son, Damir. Avdagic was born in Bosnia- Hercegovina. He studied at The Royal Danish Academy of Fine Arts, Copenhagen and is currently an MFA candidate at the University of California, Los Angeles. His work has been shown in Denmark, Norway, Spain and New York. Avdagic is the recipient of a NORAM Fellowship NY, a Fulbright Scholarship, NY and an Idella Scholarship, Copenhagen. Using video art, performance, and narrative film, Christy Chan’s work explores American mythologies of home, belonging and social harmony. 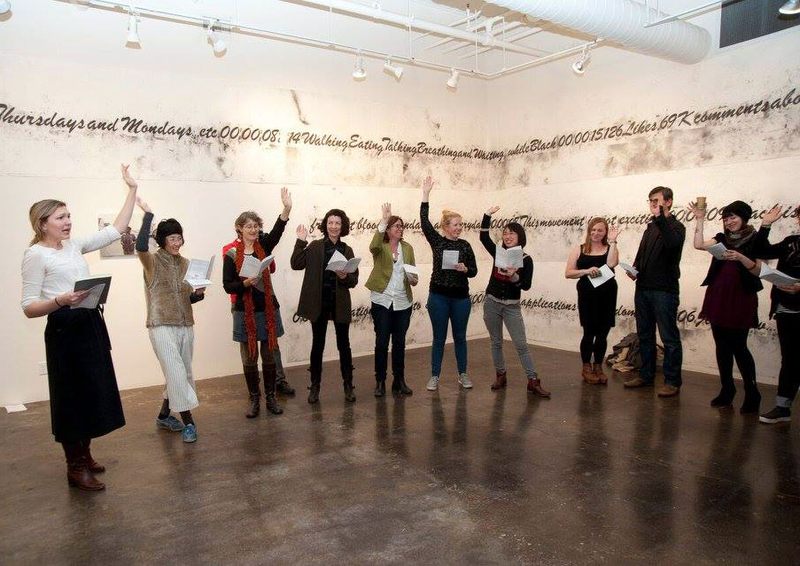 For Voices, Chan presents her performance piece How to Read on Thursday, November 5 at 7pm at the Kala Gallery. In a playful examination of cultural identity she will read American classic novels “backwards” using the traditional Chinese style of reading from back to front, and up and down instead of horizontally. Christy Chan received her MA from Virginia Commonwealth University and has been an artists-in-residence at Montalvo Arts Center and Project 387. Her work has been shown at Southern Exposure, Los Angeles Film Festival, Root Division, and Headlands Center for the Arts. Tom Comitta presents his visual score drawings. Reflecting his writing and sound poetry background, Comitta’s installation sparks visual sound without audio elements. Through his unique and universal analytical process of writing, his sketches inspire viewers to create visual sound in their own imagination. Comitta is the author of ? (Ugly Ducking Presse, 2013) and SENT (Invisible Venue, 2014). From 2011-12, he co-composed and co-conducted nine operas with The San Francisco Guerrilla Opera Company, a roving sound poetry troupe that gave voice to street signs in numerous sites around the Bay Area. Comitta received his MFA from California College of the Arts. His work has been exhibited at Brown University, Providence, LUMA Foundation, Zürich, Reed College, Portland and more. Mel Day is an interdisciplinary artist working in film installation, drawing, performance, participatory, and photo-based works. In Doxology, 10 years later (+/-), Day shows video of family members each humming a hymn in 2005 and 2015. This evolving multi-channel video and audio family portrait is a meditation on the shifting language of belief and doubt, and an exploration of individual and collective transformation. Day holds an MFA from UC Berkeley and a BFA from Queen’s University, Canada. Her work has been exhibited at Yerba Buena Center for the Arts, Southern Exposure, San Francisco Film Society, Pacific Film Archive, Berkeley Art Museum, and more. Rodney Ewing’s drawing installation 17 Seconds of Black was dedicated to the language, observations, and conversations being generated around #BlackLives Matter. It also pays homage to those individuals whose passing had unfortunately sparked this movement. He documented these observations bracketed between units of time; using a single line of words that ran through the center of the page to illustrate the history and continuing dialogue of racism in America. Ewing holds his BFA from West Virginia University, Morgantown. He has shown at the de Young Museum, San Francisco, the Drawing Center, New York, the David Brower Center, Berkeley, the Thacher Gallery at USF, and many more. For Voices, Dee Hibbert-Jones & Nomi Talisman create a mural size installation of their project Living Condition, an animated documentary trilogy that explores the crisis in our criminal justice system through the stories of families with a loved one accused of a capital crime. In addition to the gallery installation, Voices hosts a special film screening of their award winning animation, a part of the trilogy, Last Day of Freedom at The Pearson Theatre at Meyer Sound on November 18 at 7:30pm. Last Day of Freedom is a richly animated personal narrative that tells the story of Bill Babbitt’s decision to stand by his brother, a Veteran, as he faces criminal charges, racism, and ultimately the death penalty. Hibbert-Jones and Talisman have been collaborating on film, video, new media and art installations since 2004. Their projects explore trauma, justice and memory. Hibbert-Jones is an Associate Professor of Art and Digital New Media at the University of California in Santa Cruz and Talisman is an independent editor and media producer. 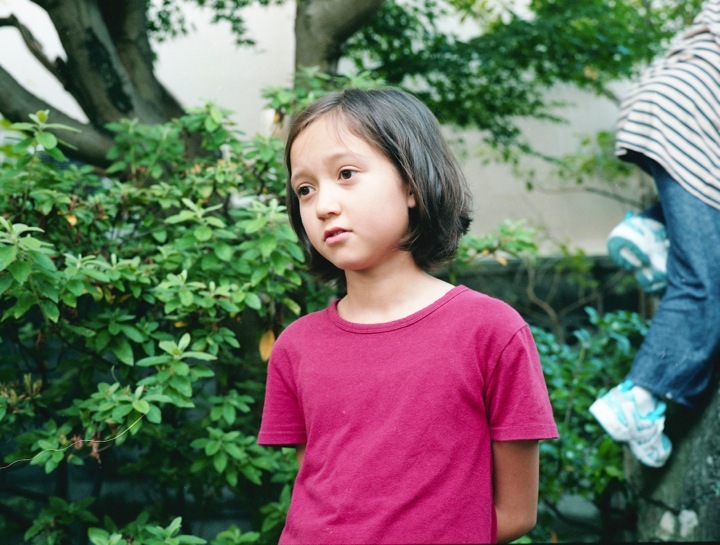 Hiroyo Kaneko presents Appearance, a portrait series of people singing. Capturing both the uniqueness and commonality of her models, Kaneko’s work presents the moment when each model stands at the threshold of self-expression and self-consciousness. The act of singing is a social and personal action. Inspired by a theorist Hannah Arendt, Kaneko’s photographs represent the idea of Appearance: The polis is… the organization of the people as it arises out of acting and speaking together…It is the space of appearance, the space where I appear to others as others appear to me. Kaneko holds her MFA from San Francisco Art Institute and her BA from Meiji Gakuin University, Tokyo. She is the winner of Philadelphia Museum of Art Photography Portfolio Competition and the recipient of Santa Fe Prize for Photography, Paul Sack Photo Award and more. Her work has been exhibited nationally and internationally. Ali Naschke-Messing presents Soundings, sculptures made on Rodeo Beach at the Marin Headlands. She dug holes into the sand, and deposited breath and sound into these basins. She used plaster to cast the negative form on-site, then re-cast those in bronze, so that the sonic positive was regained, alchemized in golden form. Naschke-Messing collaborates with architectural elements, light patterns, and spatial histories. Perception, reflection, and refraction are the substantive materials from which she makes site-specific installations. 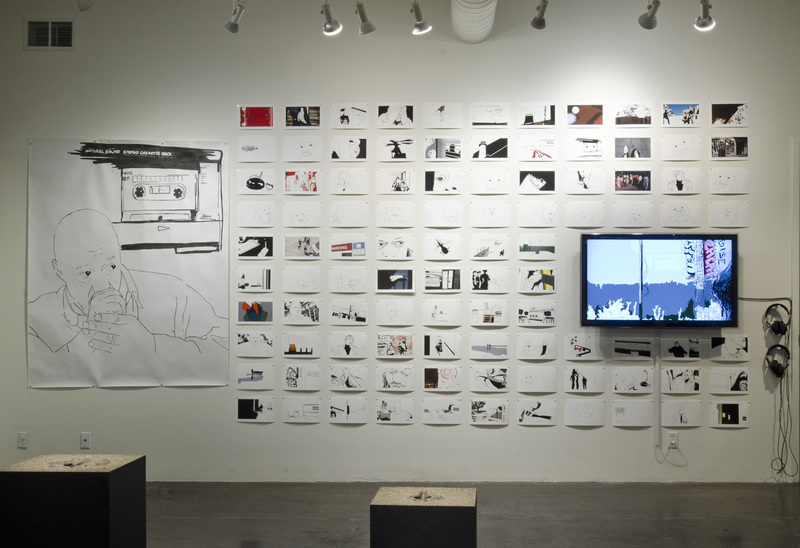 Naschke-Messing holds her MFA from the California College of Art. Her work has been shown nationally. Her residencies include the Headlands Center for the Arts and Montalvo Arts Center. She is a recipient of a 2×2 Solos Award from Pro Arts, Oakland. Carissa Potter shows her Drawings from ideas from thoughts from feelings, a series of seemingly random ideas exploring human longings for acceptance and comfort. In addition to her drawings, Kala will present Love and Longing Choir, Potter’s participatory performance on Thursday December 3, 7pm at the Kala Gallery. For this night we will join as a group to sing songs of desire, heartbreak and connection. In unison perhaps we will find some answers, or at-least feel a little less alone. Carissa Potter is a founding member of Colpa Press and founder of People I’ve Loved. Since 2010, she has been an artist-in-residence at Kala Art Institute, where she teaches letter­press. She also serves as a mentor in Southern Exposure’s One-on-One Mentorship Program. Carissa received her MFA in Printmaking from the San Francisco Art Institute.